Love to write? Love to draw? Love to do pencil puzzles or even homework? Personalize your CHARM IT! 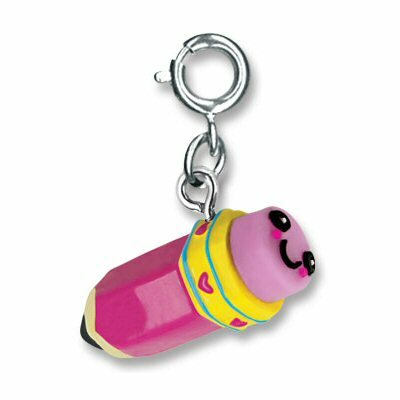 jewelry with this adorable Pink Pencil charm and show off one of your favorite pastimes. Featuring a marvelous magenta barrel, this 3-dimensional CHARM IT! 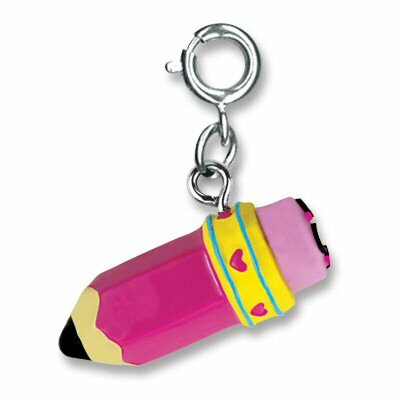 pencil charm not only cheers with its cute pink hearts around its yellow band, but the rubber "eraser" has an adorable smile which is sure to bring inspiration for whatever writing needs done.